Although not an official public holiday in America as it is in Ireland, each year on St. Patrick’s Day millions of Americans flock to the bars and pubs to join in the festivities. It is one of our country’s favorite holidays, where it’s not just acceptable, but encouraged to dress up in green and drink beer of the same color. Everyone is Irish on March 17th. But St. Patrick’s Day is also a busy day for law enforcement, and even busier when the holiday happens to fall on a weekend as it has for the past two years. This year, dozens of Maryland law enforcement agencies are ramping up their DUI patrols to combat the yearly spike in alcohol related car accidents on this festive day. Starting at 9 p.m. tonight, and lasting through Monday morning, the state police as well as local cops will be out in full force to zero in on anyone who attempts to get behind the wheel after one too many Guinness pints. The patrols will focus on areas that have a past history of larger volumes of injury accidents and other incidents involving alcohol. DUI patrols will not exclusively patrol these areas though, and are sure to be out in greater numbers on all heavily traveled roads. The statewide operation is also known as project SOLO, which stands for saving our loved ones. It was designed to specifically crack down on impaired driving and underage drinking. The operation uses impaired driving crash data, and arrest statistics to target specific areas. Not surprisingly these areas are in close proximity to popular bars, and are along main roads to and from the nightlife spots. Last year during the St. Patty’s Day weekend there were 68 alcohol related crashes and 2 fatalities in Maryland, and state law enforcement arrested 176 people for DUI during this time. The NHTSA has also reported an average of over 100 fatalities involving drunk drivers each year throughout the country on this holiday, so clearly the data is there to support an increased police presence. The data also indicates that the majority of alcohol related crashes occur at night, and as many as 55 percent of fatalities occur between 12 and 3 a.m. But law enforcement will likely not just focus on the nighttime hours this year, due to the fact that the holiday falls on a Sunday when the drinking is sure to start early in the day. There is no uniform plan of action for all the state law enforcement agencies, and each city, county, or town will conduct operation SOLO in the manner they feel is best. Baltimore City and County cops will undoubtedly deploy numerous patrol officers along Interstate 83, and Ocean City police will doing laps up and down coastal highway. Southern Maryland police agencies have apparently coordinated an effort spearheaded by the Calvert County Sheriff to place upwards of 50 patrol units along the roads. It’s safe to say that if you are out driving in the southern parts of the state tonight and tomorrow, you are more than likely to see multiple cop cars along the way. Last year more than 3,500 cars were stopped for investigation and only one out of every 200 resulted in a DUI arrest, so there will also be hundreds of innocent drivers that will be inconvenienced by police at the expense of this operation. 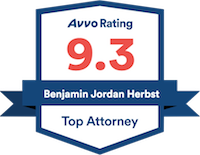 Benjamin Herbst is a Maryland DUI lawyer, who handles cases throughout the state. Contact Mr. Herbst at The Herbst Firm for a free consultation about your case. Maryland launches ‘wave’ of drunk driving enforcement, abc2news.com.